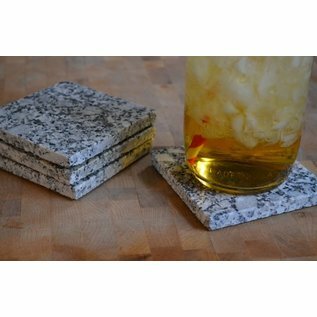 Set of Four Granite Coasters. Made with Maine Granite - black and white - Freshwater Pearl Granite Roughly 3 3/4" by 3 3/4". 3/8" thick. 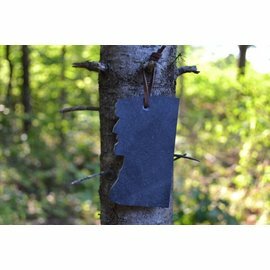 A wool blend black felt is attached to the bottom of each coaster to protect furniture. Made by A & E Stoneworks in Maine. "Alana Hutchins is the The "A" of A&E Stoneworks! If you asked her when she was little what she wanted to be when she grew up she'd always answer "Artist!" :) She enjoys running, yoga and spending time outdoors in Maine! Evan Hutchins is the "E" of A&E Stoneworks! Evan has been a stone mason since he was 12 when he started working for his dad. He took over the business in 2009. 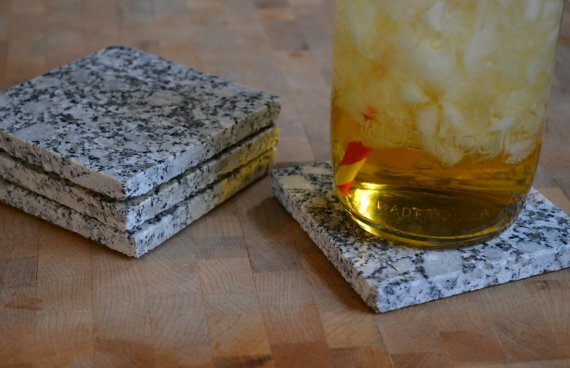 His love of rocks is what helped start A&E Stoneworks. He enjoys working out and racing triathlons!"